This anime is called Re: Zero Starting Life In Another World. I’ve been binge watching it the last half of Thanksgiving break. And it’s really interesting and semi-popular. Although my tastes in anime are pretty bad according to some people. It’s too easy to please me. Anyway, it starts off with this dude magically transported to another world for some unknown reason. I’m not finished with this anime, so don’t expect me to know everything. The dude’s lost and thinks he’s the “hero summoned from another world to help save the day!” I got to give props not being cliche going for the main character summoned to another world all confused and what not. He then meets this “beautiful silver-haired girl.” He’s all lovey-dovey for her and tags along. Something important was stolen from her, and he wants to retrieve it for her because you know love is the best motivation. Once they get where they need to go, they get killed. But it turns out, every time the main character dies, he “restarts” at some point in the past. He then calls it Return by Death. If I had to make an analogy, it’s like when you save in a game, and later on, you get killed, you restart where you last saved. That was literally the worst way I can explain this anime, but I’m tired so give me a break. Next anime we got is Sword Art Online Season 3. Also known as Sword Art Online Alicization. Or even better: SAO Season 3. God that title is too long. SAO has had a reputation of being one of the worst VR themed animes out there. But alas, it pleases me so I’m not complaining. Although, I have been seeing comments about SAO Season 3 that it’s a major improvement from the other 2 seasons. This season it tells you about like the most technological VR device ever, hoping it would be used to help heal sick people. I think. There’s a lot of big words used, so it’s hard for me to remember. This next one is called Fairy Tail. Just like SAO, Fairy Tail’s got a third season. Actually, both of the seasons are apart of the fall simulcasts, it’s just that they will still continue once all fall simulcasts are complete. 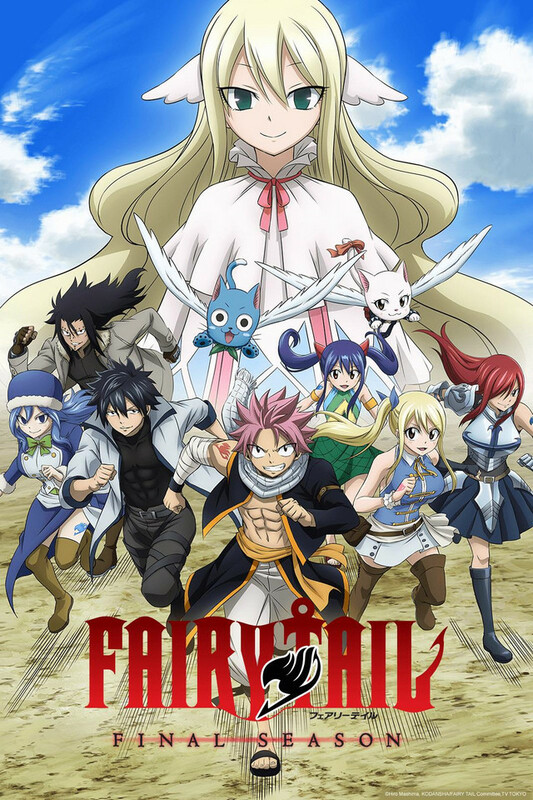 I haven’t begun Fairy Tail Season 3 yet because I still have to finish watching my re-run of the whole Fairy Tail anime that I started last year. I have seen some of what season 3 is offering, and it’s still just as funny. Okay, you know what that was an awkward sentence but I got to leave it with something else because it’s quite bland. This final anime is called Kishuku Gakkou no Juliet. But in English, it’s called Juliet of Boarding School. It’s basically “Romeo and Juliet,” but animesque. I personally love it with all these diverse, and extremely different characters, even with the circumstances of the anime.